Home / 3uTools V2.18 For Iphone Iso Jailbreak & Flashing Tool New Update. / videos / 3uTools V2.18 For Iphone Iso Jailbreak & Flashing Tool New Update. 3uTools V2.18 For Iphone Iso Jailbreak & Flashing Tool New Update. 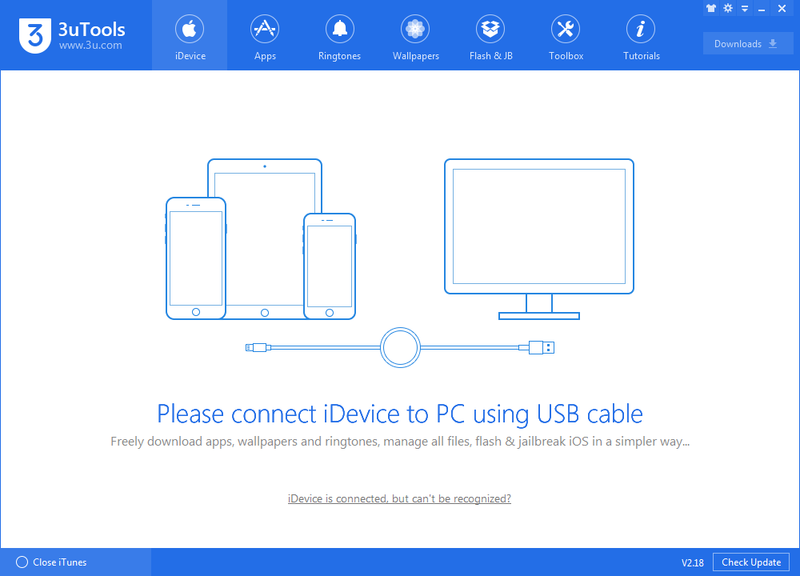 3uTools For Iphone Iso Jailbreak & Flashing Tool New Update. The Most Efficient iOS Files & Data Management Tool. battery and iCloud lock statuses, as well as detailed iOS & iDevice information. Flash and Jailbreak Are Way Intelligent. Auto-match the available firmwares for iOS Devices. Support iOS flash in normal mode, DFU mode and recovery mode. One-click jailbreak makes the jailbreak process so simple and easy. More advanced features, including SHSH backup, baseband upgrade/downgrade and etc. 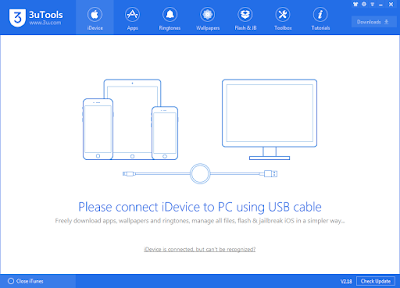 3uTools V2.18 Setup exe Download.